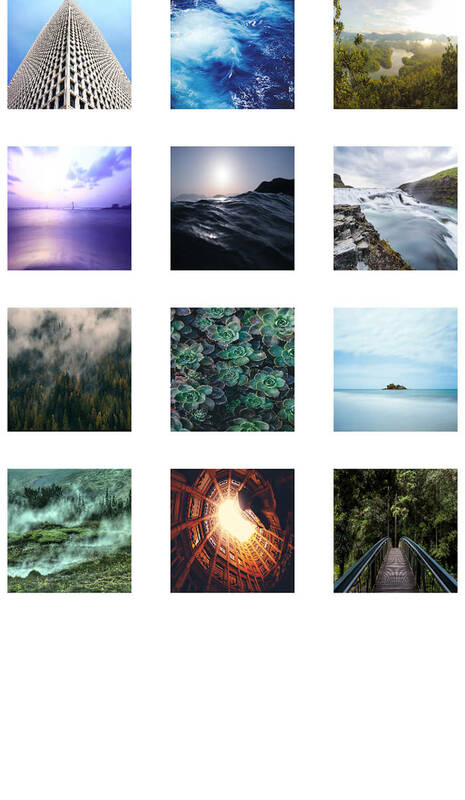 In this Swift 2 tutorial you'll see how to use an UICollectionView as an image gallery. You'll see how to download the images in an asynchronous way, how to properly cache them for the current session, to avoid to download them again while scrolling the UICollectionView, and finally how to display them inside the custom Cell. Let's create a new iOS Swift single view application. For this tutorial we'll use the http protocol, for this reason we need to allow it inside the info.plist swift file. Let's right click on it, choose open as, choose source code and inside it add the NSAppTransportSecuity key and enable the NSAllowsArbitraryLoads. This will allow your iOS App to use the http protocol. Open now the main.storyboard. We'll add inside the UIViewController an UICollectionView and then we'll customize the cell inside it. Under the file inspector we can disable the use size classes feature, we don't need that. 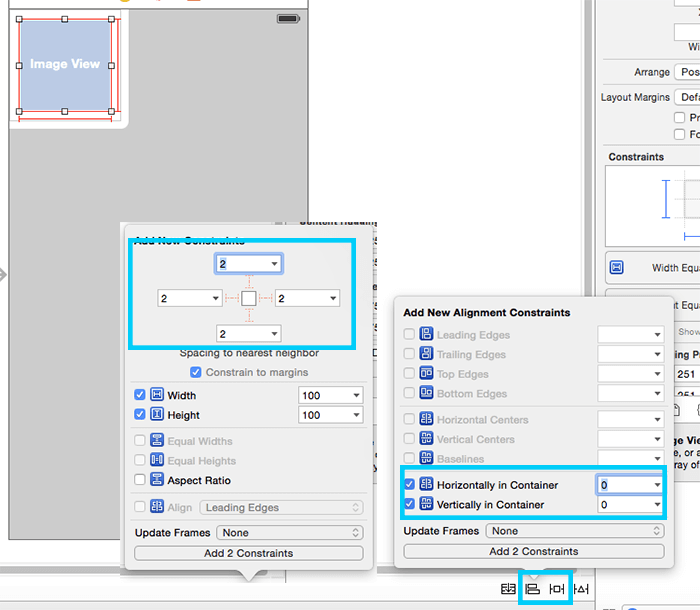 Add inside the UIViewController the CollectionView, set the size to fit the screen size, and add the following constraints for the top, left, right and bottom. Select now the cell of the UICollectionView, under the size inspector change size to Custom and add a width and height of 120. This parameter is not used by swift when is rendering the cell on the iOS App, but allows us just to define better the custom cell. In order to have a custom cell, we need also a custom class. Let's create it. Turn now back to the main.storyboard and select the UICollectionView Cell. Under the identity inspector write the class name you've previously created (CellClass in my case) and under the attribute inspector write "cell" as an identifier (or write the name you want). Now it's time to link the UIImageView to the custom class (CellClass). 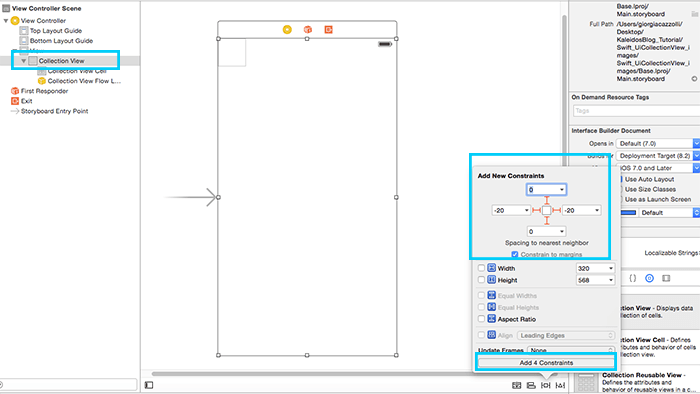 Select the UIImageView, open the Assistant Editor (it's on the right top, the two circles), hold CTRL key button and drag and drop the UIImage inside the Cell Class. Select now the UICollectionView and using the Assistant Editor link it to the ViewController class. As a variable name I wrote collectionview, but be free to put the name you want. It's now time to download the images and to display them inside the cells. Open the ViewController.swift class. Define now the required data structures. The images cache array allows to keep for the current session (for all the time the app is opened) the downloaded images in a cache, this allows to avoid to download them again while scrolling. In fact every time the user scrolls the CollectionView, the cells are reused. Reusing a cell is something like destroying the previous content and display the new one. So we'll keep for this reason the content stored. The image array allows us to keep the json data structure that defines the links of the images. The link String defines the link of the json of the images. In this example I've prepared for you a simple array of images. For getting the links of the images, we'll use the json format. 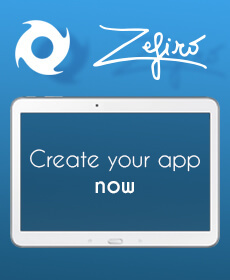 Let's define the functions for downloading and parsing the data. The get_json is used to download from the link the json array of images, the extract_json_data perform the data extraction from the json string, and load image is a function that requires as an input the link of the image and the UIImageView of the cell. In this ImageView the image will be displayed as soon as is arrived. The numberOfItemsInSection method uses the images array to let Swift know how many cells are to display. cellForItemAtIndexPath function defines the content of a single cell defined by indexPath row (the number of the cell). Remeber to put as a dequeueReusableCellWithReuseIdentifier the reusable identifier that you wrote under the attribute inspector. I am a immature developer and we have learned a lot from your tutorials but still at last I am facing a problem. I wish you could help me as my error is related to JSON and my app in not showing output in my collection view as your application was showing the output. I would be highly obliged if you could discuss with me the same so that i could learn some more from you. Hi, I got this error running the app: App Transport Security has blocked a cleartext HTTP (http://) resource load since it is insecure. Temporary exceptions can be configured via your app's Info.plist file. I did add the exception into the Info.plist as you instructed but found no luck. Seems like the issue's been around: https://github.com/NativeScript/nativescript-cli/issues/1666 Do you have a work around? Hi! Very useful post, thank you very much. Now, I'm trying to build a new view in which I could show one single image from this online gallery, but I'm having problems making the segue. Do you know how to perform it? You can do easily using the uicollection didselect event. Here you can access to the indexPath of the selected item, and push the navigation view with the image information (image name or image index), or just open a popup with the big image! Any chance you will be updating this for Swift 3? I tried following along, but there are a few pieces that are erroring out on me, and I can't quite figure out how to work around them. Hi! Thank you for your comment! Sure I'll write a new tutorial about it using the NSCache! Thank you again! Tried to load in Xcode * Beta 2 and Swift 3, And I get some errors I don't know how to handle?? Can you try this and perhaps repair? Hi, the images_cache is just a temporary array cache. This array is emptied as soon as the app is closed. This is helpful when you scroll down and up your list in order to avoid download images again. If you want a more permanent cache you have to store the images data. You can reset/clear this temporary cache just by emptying your array.